After leaving Portland on Sunday afternoon, we made our way even further to the South East, and ended up in Cape Cod. We had a spot booked for the following day at a local Parasailing club, but hadn't yet booked a hotel. 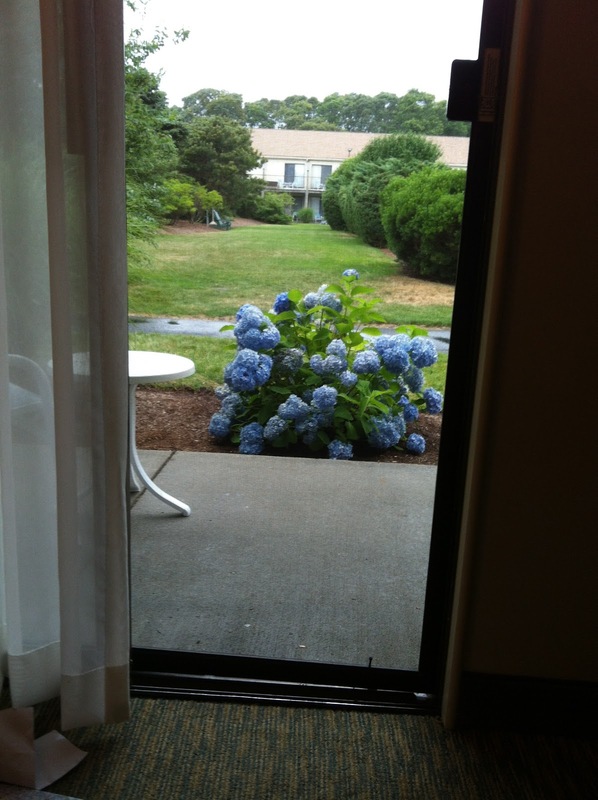 We drove around for a bit, looking for a hotel and enjoying the beautiful scenery, before finally settling in at the Clarion Inn in South Yarmouth. I've stayed at Clarion hotels before, and they are definitely on my list of preferred "lodgings". This hotel is clean, the beds are comfortable, they have on-site coin laundry, their staff is very friendly, and the rooms come with a fridge and wifi. We had a patio off our room (all rooms do) which opened up into a courtyard with an outdoor pool and poolside bar. Although it isn't included in the room price, they do serve a delicious (albeit expensive) breakfast just off the side of the lobby, in another bar area. Once we had checked into our hotel, we went across the road to Hearth 'N Kettle for some dinner. Our server, Corey, was knowledgeable & efficient. When she didn't know an answer to our question, she made sure to ask the cook directly. 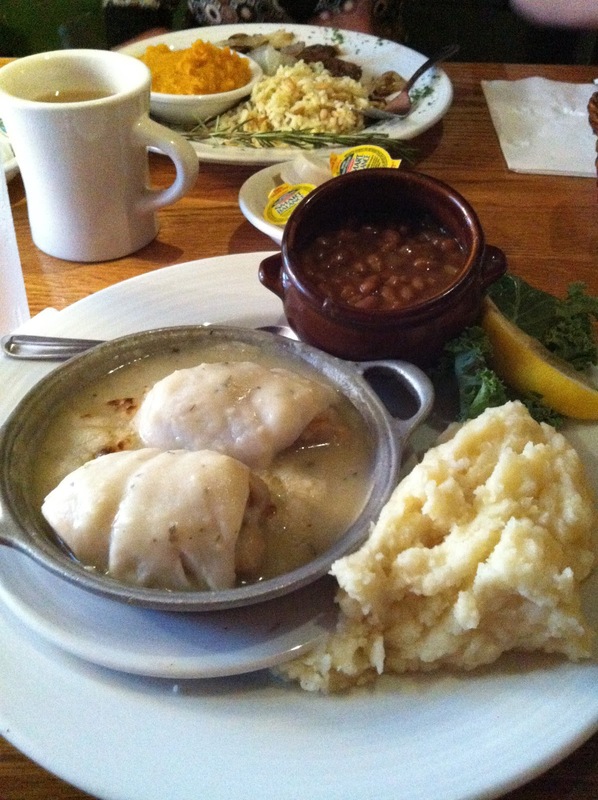 I ordered the Baked Stuffed Flounder, with (real) mashed potatoes and baked beans. The flounder was a bit too sweet, but the potatoes & beans were very delicious. Mom ordered the Grilled Flat Iron Steak, with rice pilaf and butternut squash. She said that the rice pilaf was delicious and she enjoyed the squash, but although I liked her steak, she wasn't a fan. She is also very picky with her steak and typically only eats tenderloin, so don't let that deter you. All in all, it was a good find! The following morning, we got a call from the parasailing place right before we were to check out of our hotel. Their boat had broken down, so they had to cancel. We asked if they could recommend any other places in the area, but they just played stupid and pretended as if they didn't know of any others. We immediately called Dennis Parasail, the other parasailing place in Cape Cod that we knew of, and they made sure to fit us in at the same time as our original appointment. We chose to do the 600 foot sail (the lowest option) and it was AMAZING. It was so peaceful up there, and really actually quite comfortable despite being strapped in like a nutter. Toward the end of our "sail", they sent us for a dip in the ocean which was super refreshing given the ridiculous heat we have had all summer. If you find yourself in Cape Cod in the summer months, you have to go see these guys! They were a blast, and caught a lot of our adventure on camera for us. Oh ya - my mom and I both had parasailing on our bucket lists so there's another thing checked off for each of us! What we saw, only we weren't quite this high. Our next adventure after Cape Cod was to visit Foxwoods Resort Casino in Connecticut, another item on my mother's bucket list. I'm not a big gambler myself, but my mom likes to play on slot machines so we decided to check this place out for a night. Am I ever glad we did! There are 5 hotels, several casinos and an insane amount of high-end shops and restaurants all throughout a massive complex. You drive in, you hand valet your keys, you disappear inside and don't have to come out until you leave. I've never been to Vegas before, but I can tell you that this place was about as awe-inspiring as Vegas probably is. Our hotel: Grand Pequot Tower, which seemed to be at the center of it all. We were on the 2nd floor from the top and had a beautiful view of the surrounding mountains. Our room was large and clean and we had all of the amenities we could need, but our beds weren't exactly the most comfortable. Oh well, you can't win 'em all. Usually on our getaways, mom and I have one really good, fancy, expensive meal. For this trip, we chose to eat at David Burke Prime, one of the many restaurants at Foxwoods. Oh. My. Food. God. I had their Petite Filet Mignon (to die for!) with Crab Oscar, and my mom had Caesar Salad (prepared table-side - quite a show! ), Petite Filet Mignon and a Lobster Tail. At the end of our meal, they brought us fluffy pink cotton candy (you get it after every meal, apparently) and as an apology for bringing our steak out before my mom was done her salad, they gave us Cheesecake Lollipops that came with Bubblegum whipped cream for dipping. Steak? Seafood? Cotton candy? Cheesecake lollipops? Bubblegum whipped cream? This place spoke to my taste buds. I'd for sure go again if I ever found myself at Foxwoods again. I completely forgot to take a photo of my meal, but I sorta got one of dessert! Next stop: NYC. For those of you who know me, you know that New York City is my absolute most favourite place to be, ever. I took so many photos and did so many things that I may have to do a 2-part entry. Stay tuned because I have some AMAZING NYC stuff to share with you! I really love this mother/daughter road trip idea! Fun! ...my name is Jane and I'm with Dwellable. I was looking for blog posts about South Yarmouth to share on our site and I came across your post...If you're open to it, shoot me an email at jane(at)dwellable(dot)com.